This is what the Project Engineering Manager of a large Wet Milling plant in Ohio told us regarding the three Steam Tube Dryers that failed upon commissioning after purchasing them from a dryer manufacturer who subcontracted the fabrication to a job shop. Louisville Dryers are manufactured in Louisville, Ky., by Louisville Dryer craftsmen, who build dryers every day. Any “job shop” can roll up plates, weld them together, and call it a dryer. It might be a low capital cost, but, in the end, a very expensive ownership cost to you. What makes a very large piece of rotating equipment reliable is not only the structural integrity of its design but the precision with which it is fabricated and assembled. Louisville Dryer Company manufacturing facilities are accredited by the American Society of Mechanical Engineers and The National Board of Boiler and Pressure Vessel Inspectors. Our facilities hold the “S” accreditation for the manufacture of Power Boilers, the “U” accreditation for the manufacture of Pressure Vessels, and the “R” accreditation for the alterations or repairs either in our manufacturing facilities, or in the field. As each Louisville Dryer is custom engineered and manufactured for its specific purpose, each dryer also has its own specific quality plan developed prior to the commencement of fabrication. All phases of the manufacturing process are controlled by a specific written plan, witnessed and documented by our in-house staff of quality control inspectors. Non-destructive testing is performed on all shell welds (radiographic and/or dye penetrant). 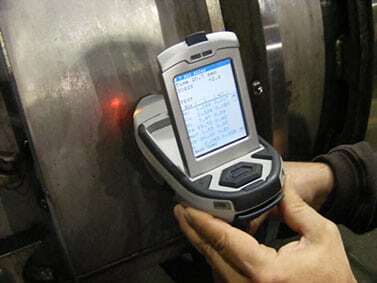 All high carbon and nickel alloys undergo 100% Positive Material Identification by means of our in-house Hand Held X-ray Fluorescence Alloy Analyzer. The hardness of all wear resistant and forged components are measured and recorded. Measurements of all of the dryer components are checked and recorded daily, and final run-outs identified in the specific quality plan are documented and issued to the end user in the O&M manuals. 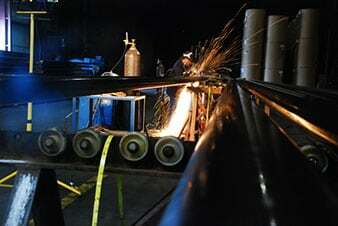 There is a very specific process that must be undertaken to weld and assemble a large dryer in such a way that it maintains a very small allowable run-out of the shell assembly, tires/rolling rings, and seal surfaces. The precision of this assembly assures the equipment can be installed properly, maintained easily, and ensures a long productive operating life of the equipment. Louisville Dryer Company manufacturing facilities have local access to three major interstate highways for ease of truck shipment. Our facilities have a rail spur entering our building for ease of rail loading and shipment. And we are also located on the Ohio River with local access to a roll-on wharf for economy and ease of barge loading and shipment. The Ohio River gives us direct access to the Gulf of Mexico’s Houston and New Orleans ports via the Mississippi River.